Ready for a new flavor adventure? 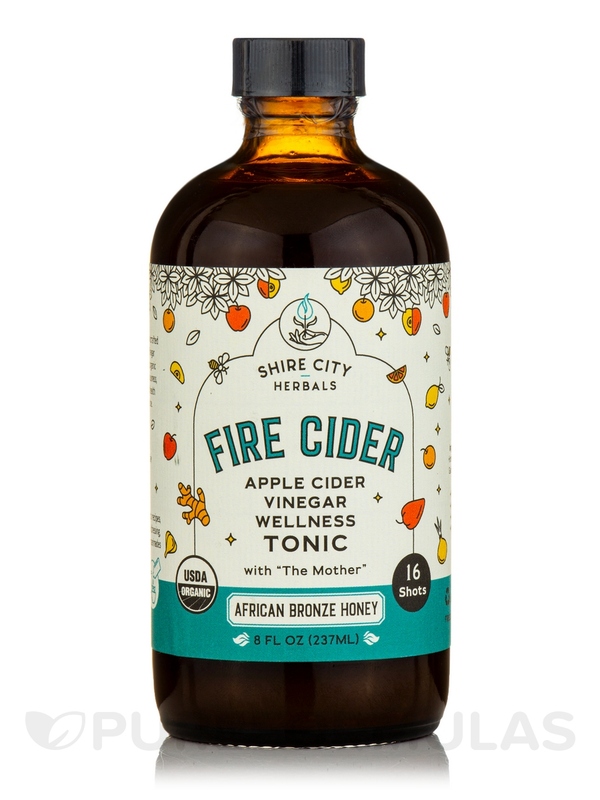 Fire Cider African Bronze is the latest addition to Fire Cider's lineup of health tonics‚ and we think you’re going to flip for it. 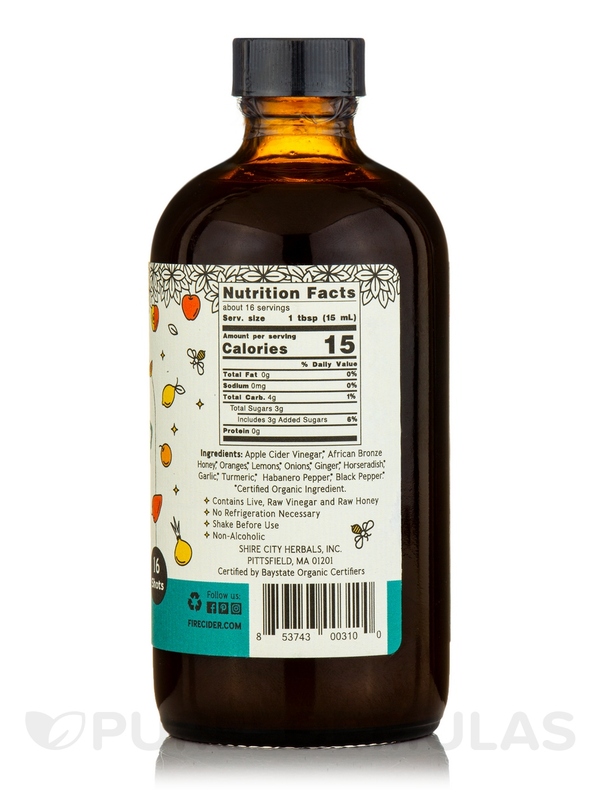 After crafting their usual base of organic raw apple cider vinegar‚ roots‚ veggies‚ fruits‚ and spices‚ Fire Cider sweeten the pot with African Bronze Honey. 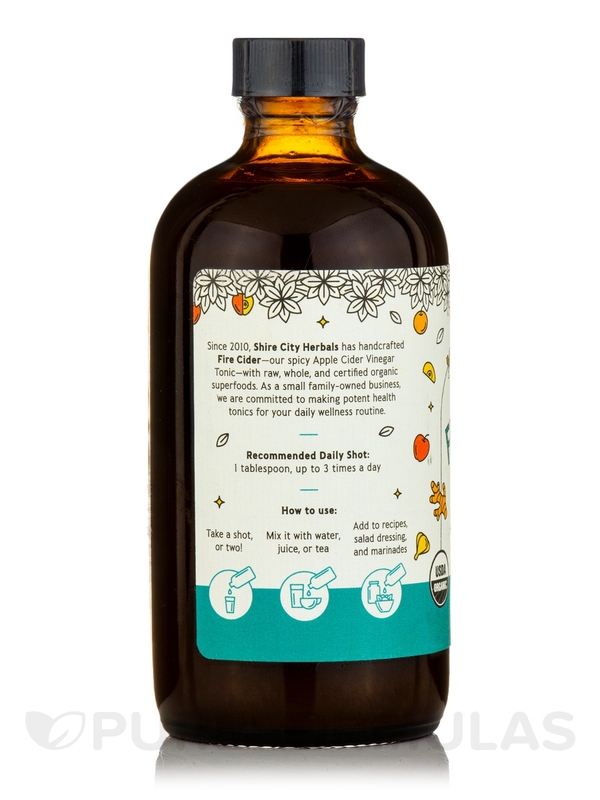 This certified organic‚ raw‚ fairly traded multi-floral honey comes from Zambia‚ where beekeepers sustainably harvest the bark hives of wild forest bees. 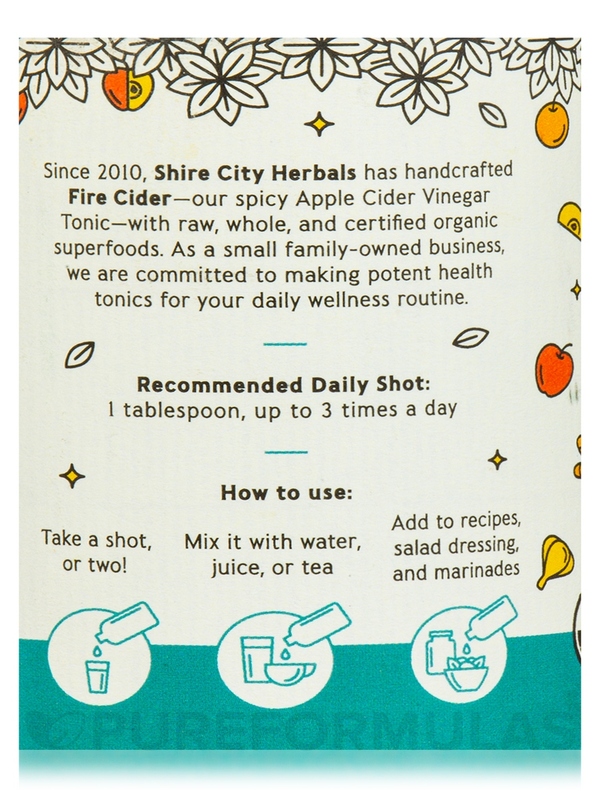 The honey is darker‚ micro-nutrient and antioxidant-rich‚ and gives our Fire Cider tonic a smooth texture and a flavor that has exotic hints of toffee‚ smoke‚ and spice. 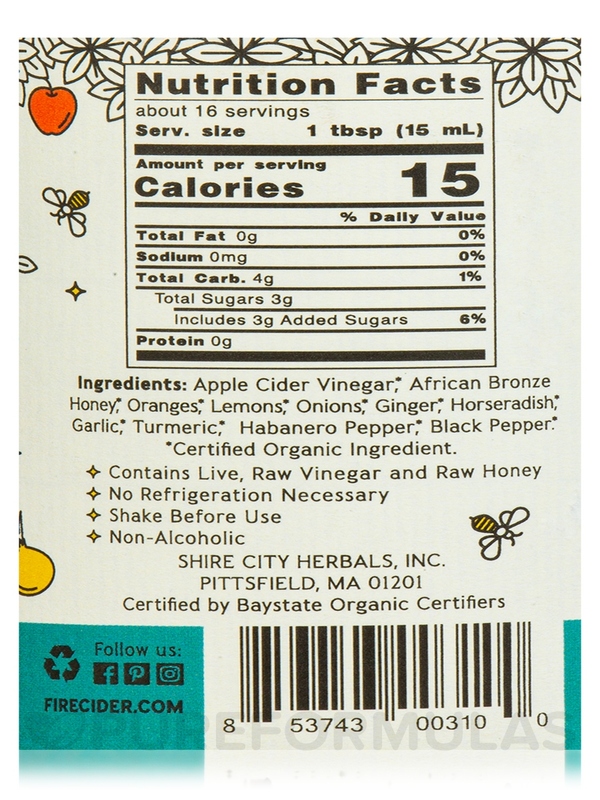 Ingredients: Apple cider vinegar*‚ African bronze honey*‚ oranges*‚ lemons*‚ onions*‚ ginger*‚ horseradish*‚ garlic*‚ turmeric*‚ habanero pepper*‚ black pepper*. 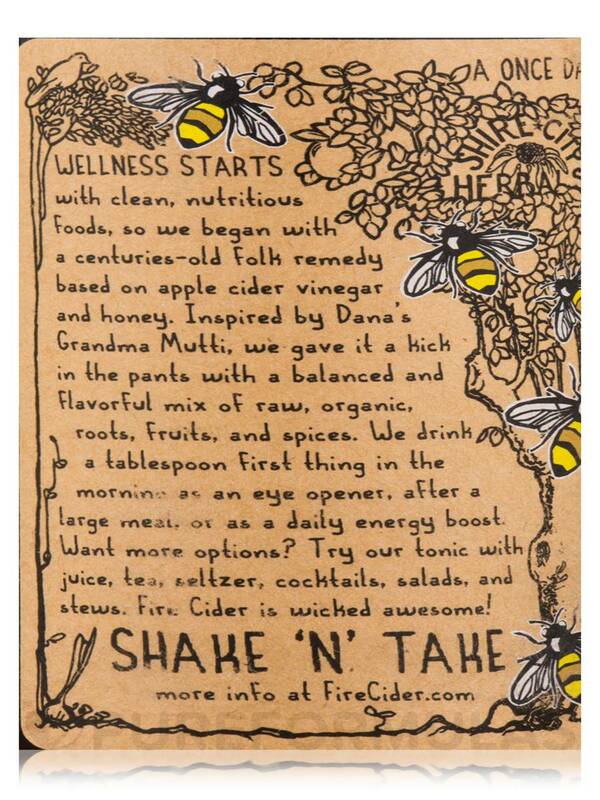 I like that African Bronze Apple Cider Vinegar & Honey Tonic by Fire Cider is a detox apple cider drink. It does have a very strong Taste of garlic but if you hold your breath and have something to chase it with it's not so bad. The benefits of drinking it outweigh the taste. Would definitely buy again. I like that all the ingredients are good quality. 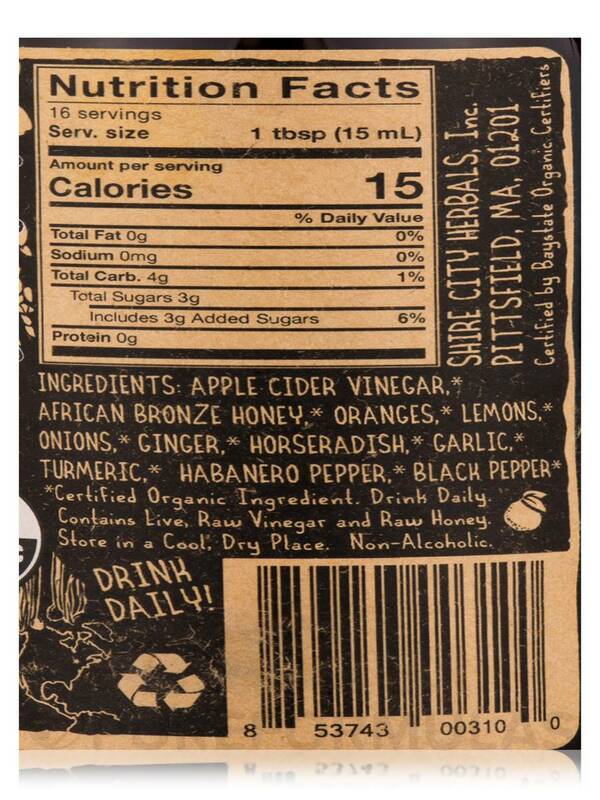 African Bronze Apple Cider Vinegar & Honey Tonic by Fire Cider great taste and it works! Great product and great ingredients.